While taking a creative writing course in college, the instructor suggested I might have more success getting short stories published first. So I focused on short stories. And he was right. I was able to publish a number of these in small press magazines. Seeing my name and stories in print was definitely a kick. 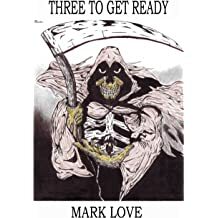 I realized my short stories looked like episodes from "The Twilight Zone" or "Tales from the Crypt", with a mix of humor and an unexpected twist at the end. 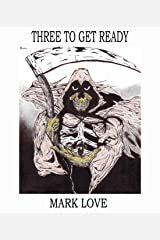 Recently I packaged three of those together and published them on Amazon under the title "Three to Get Ready"
A few years ago I discovered a new online publisher looking for novels. I submitted one, a mystery/romance story for consideration. They jumped at it. 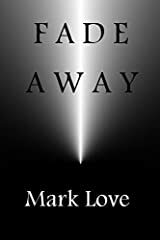 Then I submitted "Fade Away" a thriller with a little sci/fi twist. They wanted that one too. Two more years and two more books were published. But sadly, they folded their operations. Fortunately, all the rights reverted to me. 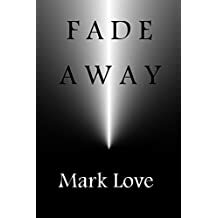 So I decided to put one of my novels, "Fade Away" on Amazon's Kindle Prime and see how things go. I also have a series that could be considered Mystery/Romance that have been released by Inkspell Publishing. 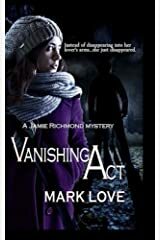 "Devious" and "Vanishing Act" and "Fleeing Beauty" as part of the Jamie Richmond Mysteries. I am pleased to add that "WHY 319?" was published by Wild Rose Press. This is a police procedural mystery, where a serial killer is leaving their victims in room 319 of different motels around suburban Detroit. 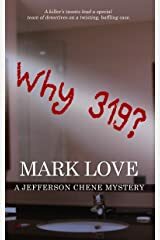 The killer leaves the message 'Why 319?" written in the victim's lipstick on the bathroom mirror. A couple of weeks ago I was part of an event at a local bookstore, where four authors who write mysteries got together for a short panel discussion. After introductions and brief biographies were shared, we fielded questions from the thirty or so people in the audience. Last weekend I had the pleasure to participate in a mystery authors panel with Joe Heywood, Bryan Gruley and Vern Smith, who all have ties to western Michigan. After we introduced ourselves to the audience, with a back cover-type blurb about our latest efforts, we started fielding questions. As a good son, when the new Jefferson Chene mystery was released, I sent a copy of to my dear sweet mother. Ever since I started writing seriously, Mom has been interested in reading my efforts. When the first Jamie Richmond mystery “Devious” was published, I made sure she got a copy. Now, in my eyes, that’s another mystery. 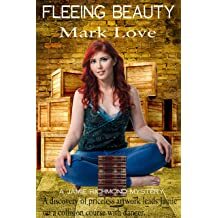 But the Jamie series includes a fair bit of romance and passion between Jamie and Malone, the guy she meets along the way who captures her heart. 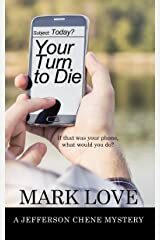 With the release of “Your Turn to Die” the second book in the Jefferson Chene series, we get the opportunity to meet some new characters. One of those is Jamie Richmond, who plays an important role in the story. Tell us a little about yourself. I’m a novelist now, focusing on mysteries. Early thirties, with red hair that helps me stand out in the crowd. I have a stubborn streak (big surprise with a redhead, right?) but that’s just part of the real me. Whether you’re celebrating the Irish today or not, it’s arrival makes us one day closer to spring. That’s something we all can be happy about. Maybe I’m too skeptical, but I’ve never been a big fan of coincidences. When writing there are times when something comes into play that makes everything come together in a nice, neat package. I’d rather believe that this is the result of an active imagination and strong subconscious mind, working to weave what seems to be unrelated issues together, striving for that ‘hot damn’ moment. Last week I was talking with a friend about writing and she asked how I decide what characters are good for each story. She was referring to my primary protagonists, Jefferson Chene and Jamie Malone. Both have a tendency to grab my attention and demand inclusion in whatever is in development. One of the challenges for any writer is to give each character a different voice. As a reader, in addition to an image in my head about what a character will look like, it’s important to find that distinctive tone that makes sense to me. Valentine’s Day was earlier this week, so my darling wife and I went out for a nice meal to celebrate. As we were leaving the restaurant, an older couple, probably in their eighties was approaching. They were holding hands and walking slowly on the frozen sidewalk. I paused to open the door for them when my wife spoke up. “Four months,” the old guy said, cracking a smile. Today is the big day for all those who long for loving cards, boxes of chocolate, long stemmed roses and all that jazz. Maybe add in a candlelit dinner and a good bottle of wine. I’m of the opinion that expressing your feelings for someone special probably happens on a regular basis. It may not be a grand romantic gesture, but it’s done through many small thoughtful things during your day. A wink and a kiss often does it for me. For the last five years, I’ve been teaching business courses at the local college. While it was my original hope that I’d get a chance to teach Creative Writing (the line for that course is long and forms about twenty miles behind you!) I’ve discovered that in many cases, I learn a lot from the students each semester. Some call it the Polar Vortex. Others call it Snow-Ma-Gedden. Whatever your choice, it’s definitely winter in West Michigan. Single digit temperatures, wind chills below zero and more than a foot of snow have descended on the area since last week. Who needs the groundhog? Winter is here and it appears to be sticking around for a while. Sometimes I have to take a moment, step back and acknowledge the fact that I’ve actually achieved one of my life’s goals by getting a novel published. In about ten days, my latest mystery novel will be released. It’s difficult to describe the pleasure an author gets from holding a printed copy of the finished product for the first time. That’s a kick that I’ll never grow tired of. This week I had the pleasure of speaking with Paul Reeves for an upcoming interview on his radio show “Dr. Paul’s Family Talk”. 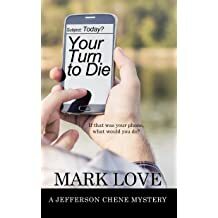 Primarily we were discussing the release of the second Jefferson Chene mystery “Your Turn to Die”. The other day I received an email from Paul Reeves, who hosts “Dr. Paul’s Family Talk on Impact Radio. 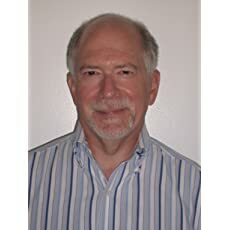 In addition to news, music and a variety of topics, Paul usually has an interview with an author to discuss their latest book or story. I’ve been fortunate to have been a guest on his show a couple of times. I distinctly remember one of the nuns in elementary school extolling with a calm, steady voice “Patience is a virtue” to which the response “I’m not a virtuous person” immediately jumped to mind. Fortunately, my young brain had the good sense to intervene and prevent me from blurting out that sentiment. Yes, back in those days, the nuns were allowed to inflict corporal punishment. My knuckles still bear the scars of other antics the good sisters did not approve of. How strange it is to write that line. I can vividly remember the anticipation of the year 2000 and all the scares about the Y2K bug that would bring the world to a screeching halt. Fortunately, that situation never amounted to much of anything. So here we go again. A new year. A new beginning. In the blink of an eye it will be Christmas. So here is my fourth holiday related tale. When my sons were young, we used to painstakingly wrap their presents and place them beneath the tree. We even went so far as to use different paper for packages that came from Santa, versus those from the parents. Yes, the boys paid attention to such details. The other night my darling wife and I took a drive to see some of the outdoor displays. I’ve never been a fan of the inflated Santa Claus or various characters that are about nowadays like Mickey Mouse, Minions, and Snowmen, to name a few. It’s the festive lights that always appeal to me. As we cruised slowly through different neighborhoods, a memory came to mind. Years ago there was a young family that moved in next door to us. Ken and Jenny were the parents with Katelyn and Kyle, who were about seven and five respectively. There was a lot of excitement and energy around the house. Ken was determined to decorate every square inch outside, in one form or another. December has arrived. With the holidays in sight, it also stirs up some favorites stories from friends and families about traditions, festive meals to football games in the snow. After recently helping an elderly neighbor with their decorations, this tale came to mind. Four years ago I was asked to create a workshop for people interested in writing. The idea was to cover some of the main topics, such as settings, conflicts and characters and give examples. The concept would cover an hour once a week for three weeks. It sounded like fun, so I agreed. Three weeks would be no problem. A long time ago, a professor in a creative writing program imparted those great words of wisdom: “If you wanna be a writer, you gotta be a reader” or words to that effect. As an avid reader going back to my youth, that part has never been a problem. On average, I read a book a week. While my preference leans toward mysteries and thrillers, there are times when a good horror novel beckons me. One of my favorite components of writing is introducing characters. This is your opportunity to share details with the audience about your players. You can tease the information out in dribs and drabs, or make it read like an FBI profile. It’s entirely up to you. When facilitating a writer’s workshop or meeting with a high school English class, I’ve often used this quick video from the first “Pirates of the Caribbean” movie. It’s a great example of sharing details with the audience. Often when I’m writing, the story takes place in a different time of year than what is occurring outside my window. For example, I’m about sixty pages into the first draft of the next Jefferson Chene mystery and this one takes place in the heat of the summer. The idea for this story is that it will all happen within a week’s time, and include a few flashbacks. A new post on writing appears at the new blog site. I hope you'll stop by and check it out. In the process of transitioning to the new blog site, I've decided to give away a free E Book. Stop by and check it out. 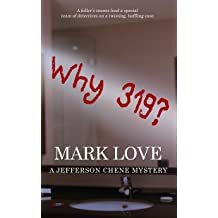 A couple of weeks ago, I had the opportunity to be interviewed on The Author's Show, an internet radio program, and talk about my efforts writing and "Why 319?" my mystery about a serial killer on the loose in Metro Detroit. So when it aired, I spread the word and heard back from a number of people that it went well. Someone asked me the other day which one of my books is my favorite. That's a difficult question. My first reaction was to say 'the next one', because I always strive to make each story better, more engaging, with a few twists and turns that the reader won't be expecting. But I didn't jump at that bait. The response I gave him wasn't what he expected. On Tuesday, February 16, I'm being interviewed on The Author's Show. This is my first experience being on the receiving end of the questions so I'm definitely looking forward to hearing the final cut. Most of us have had a true best friend, someone who will always be there for you, through thick and thin, the good times and bad. Someone who knows the punchline to all of your favorite jokes and still laughs as if hearing it for the first time. Someone who may be as different from you as night is to day. But when it counts the most, you know they will always be in your corner, cheering you on. It's my pleasure to introduce another author, Susan Vaughn. Recently I was leading a discussion with the local writer’s group and the topic was on character names. I’m a firm believer in having distinctive names for the main characters in my stories. Sometimes I’ll even go so far as to have the name be a subtle hint about how that person may behave. Names are critical. Good ones can really carry the story. And it’s a great opportunity to make each character distinctive, so the reader can create their own image of them. The Return of the Girls! Now, don’t take this the wrong way. These girls are special. And you could say they were never really gone, because they are in fact always with me. But now they’re back and waiting for you. The girls I’m referring to are Jamie Richmond, my star from the mystery romance series and her best friend, Linda Davis. 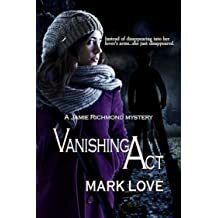 Linda makes her first appearance in “Vanishing Act” and her relationship with Jamie is a major factor in the story. This past weekend I was part of a group of authors who gathered at the local library to meet readers and talk about our various books. I've always found such excursions to be entertaining and a great chance to shoot the breeze with other creative people. A couple of them wrote children's stories, a few wrote poetry and several of us focused on fiction. I hit it off with a guy who has been inspired by the efforts of Stephen King (me too!) and a geology professor who penned a thriller. About once a day I check in on Facebook and see what my various contacts are up to. I'm not one to post a lot, not sharing what I had for dinner or where I'm headed. But every once in a while, something will catch my eye that triggers a response. Yesterday was one of those days. During a meeting with the writer's workshop recently, someone mentioned the only way they can write is in a quiet room. No distractions, nothing to break their concentration. They assumed that everyone was the same way. Several around the table nodded in agreement. All eyes came to me. I could only shake my head and laugh. "No way," I said with a grin. "There must be music. I can't work in silence. It drives me crazy." Recently I saw a request from Shawn at Knightmist, looking for short stories in the horror genre to run in time for Halloween. Checking the archives, I discovered an old ghost story called “Rituals” that I had written years ago. Despite a few attempts, this story never found a happy home. Like most authors, I read a lot, somewhere around 40 novels a year. 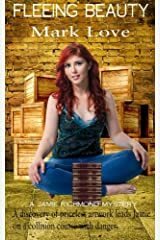 While I don’t always write a review, at times I’ll enjoy a story so much that I’m inspired to spread the word.That’s the case with The Penhallow Train Incident by M.S. Spencer. I’ve read several others works from this talented author. She always delivers. It is my great pleasure to host the talented M.S. Spencer on my blog. Over the last couple of years I’ve enjoyed a number of her novels where she mixes mystery with enough passion to get your attention. I’m looking forward to the latest one. Welcome M.S. Thank you so much, Mark, for giving me the chance to introduce your readers to my new release, Dear Philomena: Love, Lust & Murder on Chincoteague Island. Years ago I was being interviewed for a leadership position with a company that has a reputation for doing things differently. This wasn't the first conversation. I was told to plan on spending most of the day there and I would be interviewed with managers from different departments. No problem. I'd done this before. Or so I thought, until I arrived on the appointed day. Truth be told when it comes to technology, I’m something of a dinosaur. While I use a computer for my writing, I’m slow to embrace a lot of the latest and greatest inventions that are supposed to make life easier. I have a cell phone, but it’s not a smart phone. Most weekdays at work I’m stuck in front of a computer, so access to all the internet and email is immediate. The same applies when I’m home, if I’m working on a story. Summertime often gives us the chance to get together with friends and family for picnics, graduation parties or celebrations in one form or another. If you’re hosting it, there’s a lot of work involved, getting the place ready, cooking the food and the inevitable cleanup afterwards. Been there, done that, more times than I care to remember. But along with everything else, there are usually some interesting conversations that take place. Like this one. There are times when the opportunity presents itself to share a story and it’s just too good to resist. Recently I was at a barbecue with some new friends. Turns out several of us had attended Catholic schools and we were regaling the group around the table with tales from our youth. Here’s mine. The question came up at the writer’s workshop the other day. ‘When are you done?’ How do you know that the story is finished, that you’ve captured every detail, polished every bit and made it all perfect. I didn’t have the exact answer. I don’t know if anyone does. I enjoy traveling. It’s the opportunity to see a different part of the country, meet new people, experience the sights and sounds and everything that goes with it is very appealing. It’s a chance to broaden your perspective.